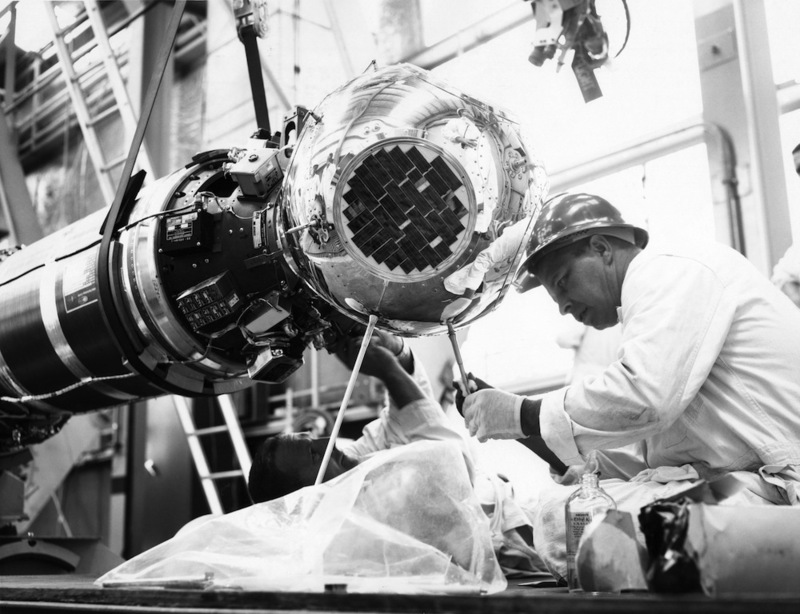 An engineer from Ling-Tempco-Vought makes final adjustments to a SECOR Satellite. The U.S. Army successfully launched nine SECOR satellites. SECOR, a satellite used as part of a U.S. Army experimental navigation system.